Tracing family histories is a popular pursuit and everyone loves the idea of discovering where they really come from. 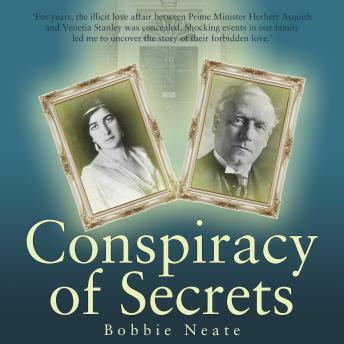 But when Bobbie Neate began to investigate her own family's past, she made some shocking discoveries which would cause shock waves within her own family as well as on a much wider, national scale. The result of Bobbie's quest is an enthralling journey not only into her own past but also into the history of this country and its leaders. It was after the death of her beloved mother that Bobbie started to question strange events from her childhood. From hazy recollections grew firm lines of inquiry and eventually she was able to match her memories with actual historical data. Her discoveries were mind blowing. Her stepfather and indeed the man she had referred to as 'father' for most of her life had kept a huge secret and had lied about who he really was. In this intriguing biographical detective story, the author reveals that Louis T Stanley, well known in Formula One racing circles, had hidden his true background from his wife and from the public. He was not the man he pretended to be, but was the illegitimate son of an elderly serving Prime Minister, HH Asquith and the young Venetia Stanley, an aristocrat's daughter. One hundred years after these events took place, the truth behind one of the biggest coverups in British political history can be revealed. As well as serving as an important historical document which will challenge commonly held opinions of modern British history. Conspiracy of Secrets is, equally, a revealing personal memoir which uncovers what kind of a man Louis T Stanley really was. His stifling influence over the author and her family is explored, as are the extraordinary lengths he went to in order to cover up his past and his true identity. This wonderfully researched book is a gripping story of forbidden love, betrayal and identity.